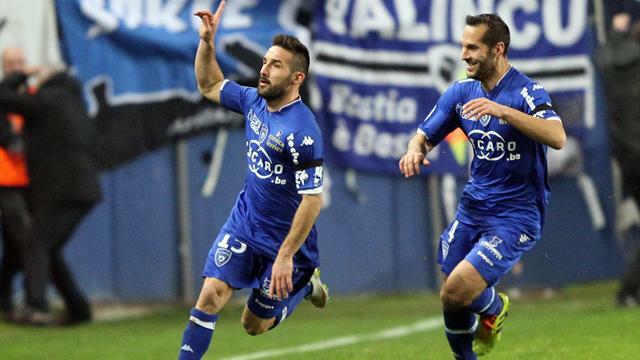 Toulouse and Bastia have contrasting forms, as far as their last five matches are concerned. In that streak, the home squad were winless: scoring only one point from their draw with Guingamp but losing all the spoils to against Monaco, Lille, and Lyon in Ligue 1 as well as Bordeaux in the Coupe de France. Bastia, on the other hand, had four matches that ended successfully (two in Ligue 1, one in Coupe de France, and one in Coupe de la Ligue). They shared the spoils with Caen in one of their most recent fixtures in the French top-flight football. Head to head, Ghislain Printant’s men have also won against Alain Casanova’s lads in all of their last three meetings. But while these statistics put the visitors easily in front, their current rankings in the league cannot confirm that automatically. They are only separated by goal difference, rank side-by-side, and are in fact, level on points as per the 20th week of the competition. Sports betting tip: Toulouse and Bastia will produce a thriller that will eventually end in a stalemate. The defending champions are having a rough run in the past few weeks of Ligue 1, scoring only one victory from their last five matches in the tournament. This has inevitably caused them to plummet into the fourth spot of the league standings, overtaken by the more improved squads such as Staint-Etienne, Marseille, and Lyon. They are still capable of chasing the title as well as joining next season’s UEFA tilts, but they must gain back their robustness in both on-ground and in-the-air displays to make that happen. If PSG have a burgeoning problem in their performances, Evian TG suffer a lot worse. They are currently under threat of being relegated into the second division by the end of the season. They have been without a single win in the past five weeks of Ligue 1, with the lone point they had scored from their low-scoring draw with Rennes. They can shoot effectively from direct free kicks but their carelessness in errors and frail defense are holding them back from producing a genuinely spectacular performance. Football betting tip: PSG will earn all the spoils from Evian TG.